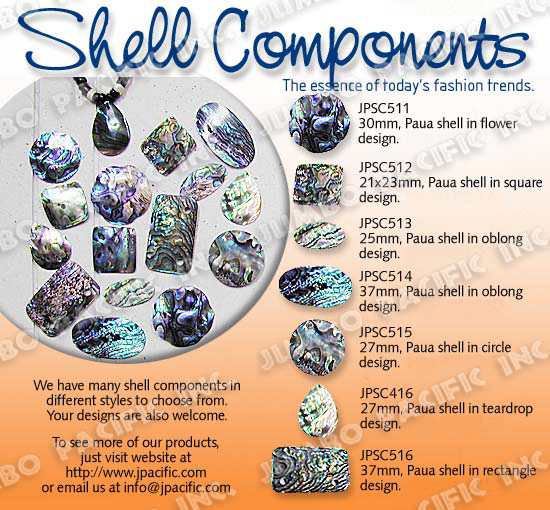 Another shell components designs are being showcase from our jewelry collections. Many forms and designs such as heart-shape, triangle shape, circle shape, teardrop shape, rectangle shape, flower shape, rounded flower shape and many more. All these are originally made of blacklip shells, MOP, hammer shell and brownlip shells. Find beauty and treasure in seashells. 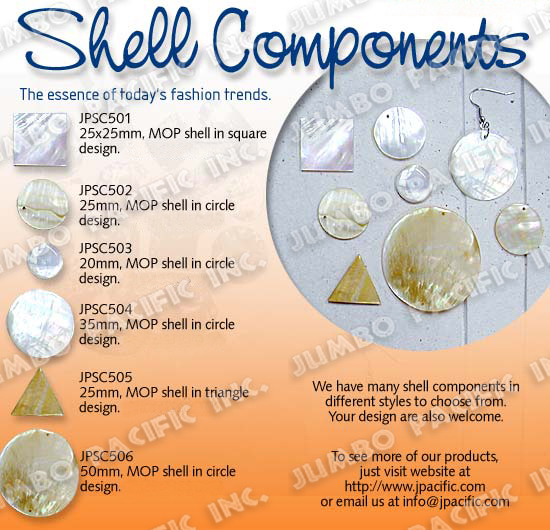 We offered shell components this can be use as shell pendant necklace and shell pendant bracelets. Wear it close and appreciate the shells beauty. It’s a MOP shell made shell components. 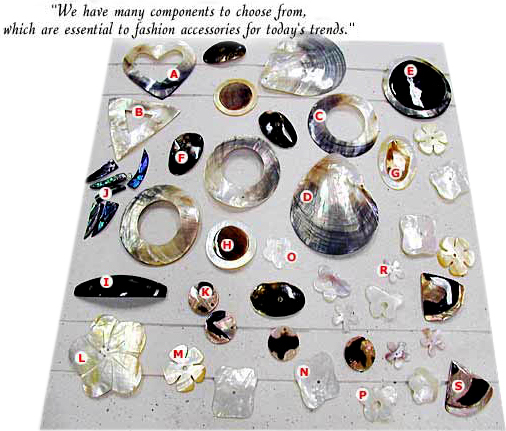 We can customize different forms, size, shell used and designs of shell components. a. Description: 25x25mm, MOP shell in square design. b. Description: 25mm, MOP shell in circle design. c. Description: 20mm, MOP shell in circle design. d. Description: 35mm, MOP shell in circle design. e.Description: 25mm, MOP shell in triangle design. f. Description: 50mm, MOP shell in circle design. Beauty is when you learn to appreciate on to something beautiful but in a simple way. Shells are beautiful and it’s simple on the human sights. We can create an elegant shell components design from its simple appearance. It gives beauty to any who much likely to wear fashion. This shell components is made of paua shell and it’s being tranform into artforms.